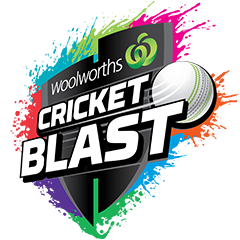 Woolworths Cricket Blast captures the colour and excitement of the Men's and Women's Big Bash League in a fun and fast format. Junior Blasters is for kids learning the basic skills of cricket with participants building their skills through fun, game based activities. The activites are designed for small groups to ensure every child gets a go, allowing them to test and learn new skills. When they have mastered the basics they will be ready for modified games of cricket. The Junior Blasters program is set up in a way that regardless of skill level, participants can progress through the different levels of activity until they have the basic cricket skills required to progress to the Master Blasters program. Participants therefore progress to Master Blasters Program only when they master these basic cricket skills.